winter arrived early this year. 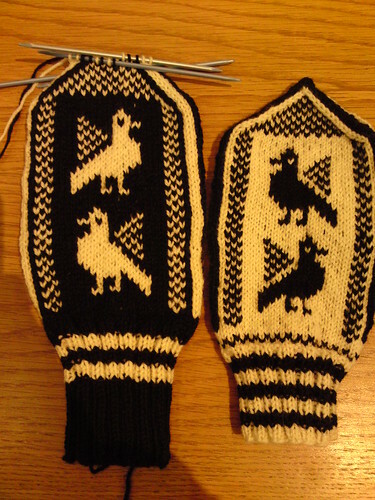 good luck i’ve just finished a pair of mittens! 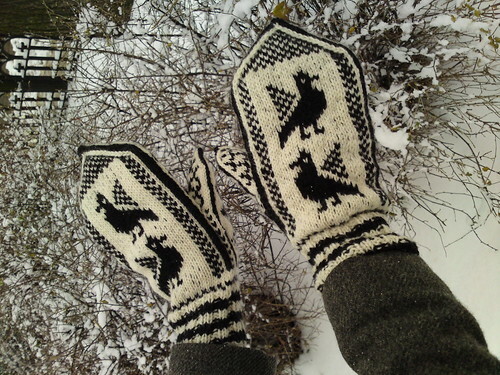 they’re actually rather big, but if it gets really cold i can wear another pair of mittens under these ones. or i’ll give them to someone with bigger hands than i have. 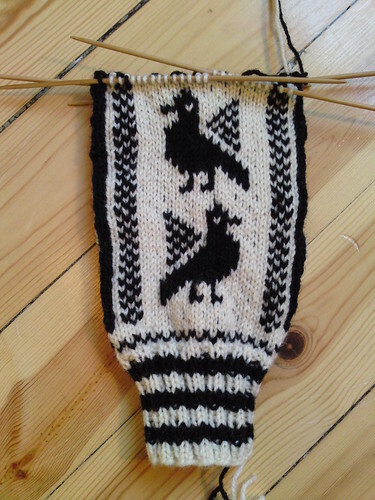 last week i met eva at the knitting café at the nordic museum, and she was also knitting a pair of hugin and munin mittens, but with inverted colours! yesterday morning i recieved a present! it was supposed to be a christmas present from my husband, but sometimes he gets so excited about giving presents that he just can’t wait, it’s so sweet. it’s a tote for my knitting, of course! yes, why do anything else? for those of you who do not recognise it, it’s a pun on the old morale boosting slogan from ww2; keep calm and carry on (read about it here and here). 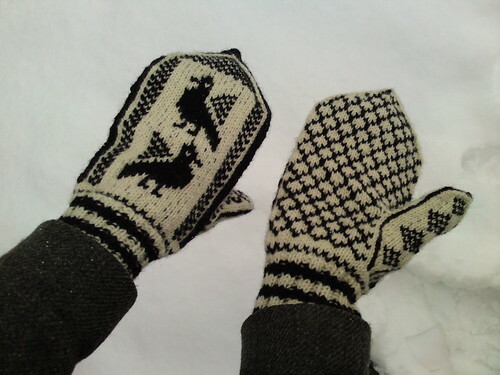 as a knitter and a bit obsessed about that period in modern history, it was the perfect gift. he knows that, of course. 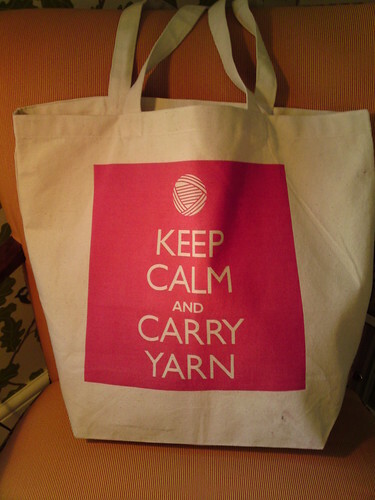 and you keep calm by carrying yarn, right?